Juniper Hill Farm – Providing a variety of fresh, locally and organically grown produce to our community. As the 2018 season winds down, we are already getting excited for next season and we hope you are too! Thanks so much for everyone's support this season, click the link below to sign up for our 2019 CSA membership. At Juniper Hill we believe knowledge is power. We believe industrial foods, genetically modified and shipped around the world, are unsustainable and unhealthy. We hope you will join us in eating fresh, organic, locally grown produce for the season. 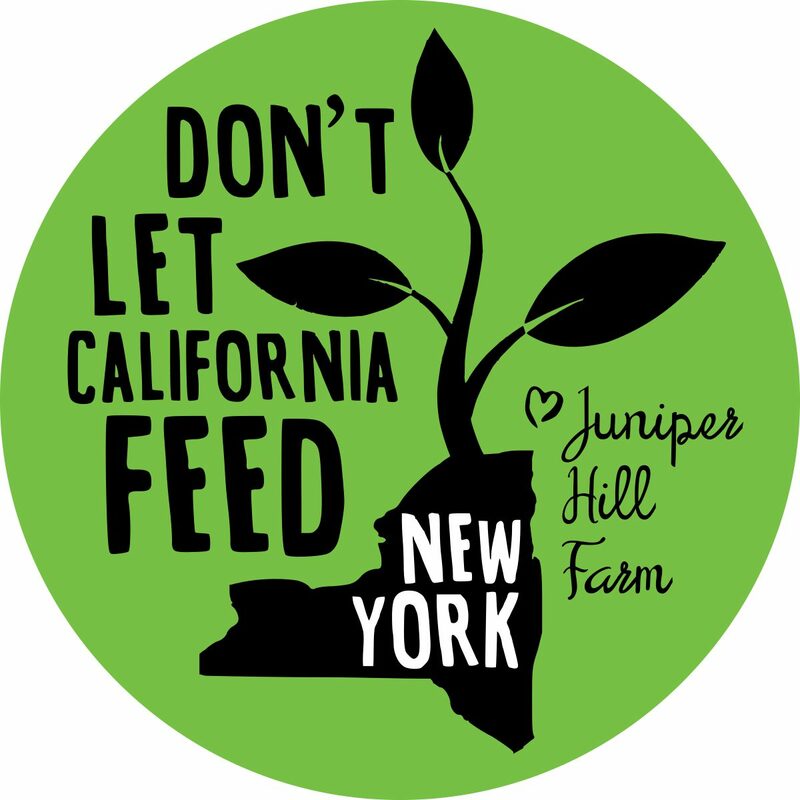 Don’t let California feed New York!